Protect farmers from having their crops damaged or destroyed due to herbicide drift? Protect bee populations by limiting whether or when seeds coated with bee-killing chemicals can be planted? 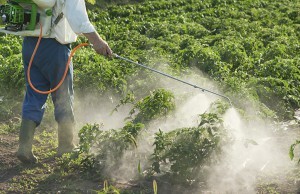 Protect the health of the community’s children by limiting spraying of certain toxic chemicals? Respond to concerns that their citizens raise in the future about what is grown and how it is grown in their communities? If you think that Texans should be able to seek solutions for these sorts of problems from their local elected officials, then you need to call your State Representative right now and urge him or her to oppose SB 1172 / HB 2758. SB 1172/ HB 2758 would prevent cities and counties from regulating any seed “in any manner, including planting seed or cultivating plants grown from seed.” The language about “cultivating” means that it’s not just about the seeds themselves, but the things the farmers use to grow the plants – including fertilizers, pesticides, and herbicides that can kill other crops, crash bee populations, and harm human health. While the legislature has already partly limited local control on pesticides and herbicides, this bill goes much further. Local elected representatives need to retain their ability to protect their farmers and communities! Call or email your State Representative and urge him or her to oppose SB 1172 / HB 2758. You can find out who your State legislators are by going to www.fyi.legis.state.tx.us or calling the Texas Capitol Switchboard at 512-463-4630. “Hi, my name is ___, and I am a constituent. I am calling to urge Representative _____ to OPPOSE SB 1172 / HB 2758. SB 1172 has been approved by the House Agriculture Committee, so the next step is for it to be scheduled for a vote of the full House. The Calendars Committee is responsible for scheduling bills, so tell them you want them to put a stop to SB 1172! Spread the word by forwarding this email and sharing our Facebook posts. We need as many people to contact their Representatives as possible. We are up against companies like Monsanto and DuPont, with their deep pockets and multiple lobbyists. We CAN win against them – we’ve done it before on issues like NAIS – but we need a large grassroots outcry.